The entire line of Furniture Carts from BHS allow users to transport bulk quantities of furniture or other awkward materials quickly and safely, without the risk of musculoskeletal disorders associated with lifting heavy items. 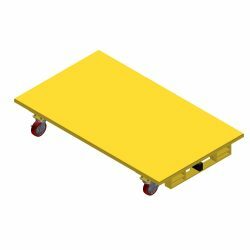 Choose one of three stock options to match an existing application: Flat Deck Carts (FDC), Flat Bed Carts (FBC), or Flat Stacking Carts (FSC). Each model shares easy-rolling casters configured for greater maneuverability. Custom Furniture Carts are also available for highly specialized tasks. The BHS production team manufactures all equipment at their state-of-the-art facility in St. Louis, Missouri, using pure steel and a protective powder-coat finish. To discuss custom Furniture Carts for your unique material handling challenges, call the BHS sales team at +1 314 423 2075.